ALL PREORDER SUPPORTERS: Get the game alongside our Kickstarter Supporters - First! And, get your name in the rules as a supporter! After a long-awaited successful Kickstarter campaign, Polyversal is now available for preorder in limited quantities. The game comes with or without miniatures. 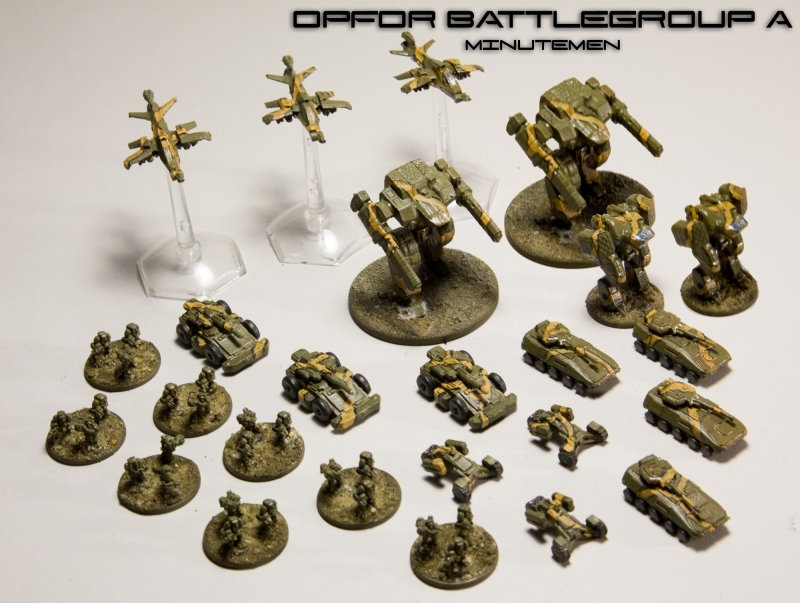 This product, CEW00010, is a preorder of the game WITH miniatures which gives you everything you need to play including miniatures and combatant tiles from two different factions comprising two unique Battlegroups - UN A "Quick Reaction Force" and OPFOR A "Minutemen". For a base game WITHOUT miniatures, please see CEW00009. 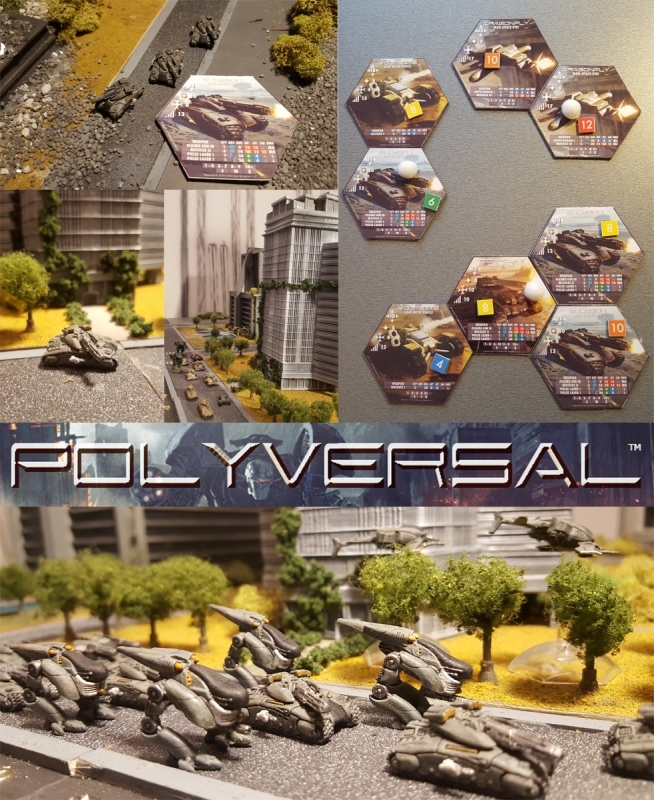 Polyversal is a universal tabletop miniatures game for two or more players designed by veteran gamer Ken Whitehurst and developed and published by Collins Epic Wargames (known for their award-winning Spearpoint 1943 line of card wargames). The system is intended for use with 6mm scale miniatures, but may be used with larger 10mm or 15mm miniatures if desired. The game uses color-coded polyhedral dice and Combatant Tiles to reflect the combat qualities of your units, their weaponry, attack ability, evasion, effectiveness, and more. A single roll of three color-coded polyhedral dice is used to resolve each attack without the need for re-rolls to determine hits, saves, or damage effects. This makes combat resolution fast and intuitive. 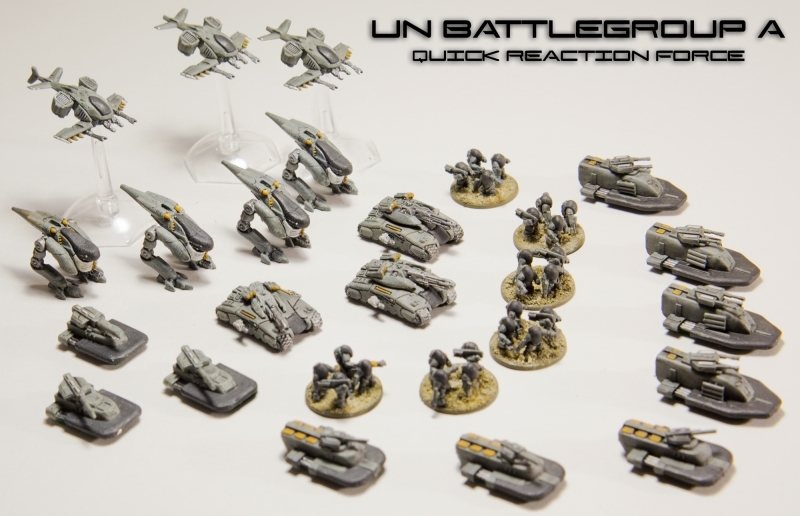 Hexagonal Combatant Tiles that you may create and customize to represent miniatures from any line physically arrange together to provide a visual command structure for each "battlegroup" you form around a central command unit. With all of the vital information you need on each Combatant Tile, your eyes remain focused on the battlespace, not the rulebook. A sleek initiative-based orders and activation system keeps players continually involved. You don't stare and wait as your opponent has fun- Initiative "face-offs" between Battlegroup Commanders determine the next minis that activate. 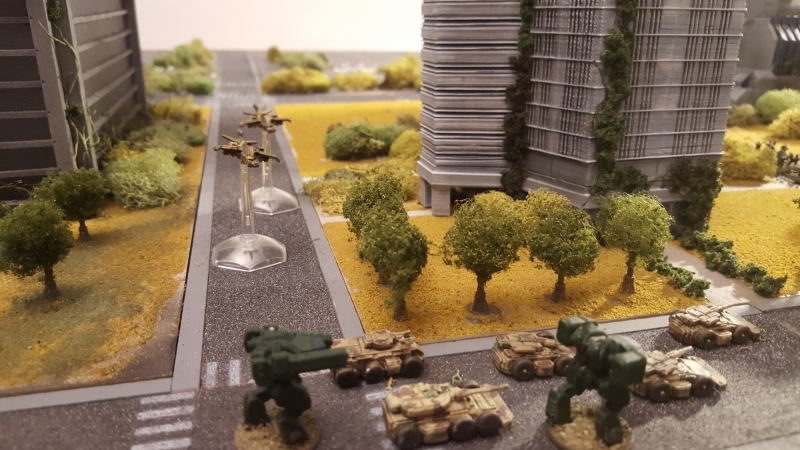 "Polyversal is a revolutionary gaming system for sci-fi tabletop wargaming and has been in development for nearly a decade." New to miniatures gaming? Boxed games include everything you need to get started- with or without miniatures from several reputable manufacturers. Perfect for those new to tabletop wargaming. Note: See produce CEW00009 for base sets without miniatures. Are you a veteran gamer with armies amassed over years of campaigning? Our easy to use Combatant Design Rules allow you to develop your own Combatant Tiles for any miniature in your existing or future collection, from any line. 6/10mm Miniatures forming two Unique Battlegroups for each main faction - UN A "Quick Reaction Force" for the UN (a future version of the United Nations) and OPFOR A "Minutement" for the OPFOR (Opposition Forces). See complete miniatures lists below and photos. Combatant Tiles for each of the miniatures included in each of the two Battlegroups noted above (Typically 1 tile per model type is included with more for Infantry).